Real estate trade publication article from 1939 about the process of altering the southwest wings of 790 while not alienating the tenants still in residence. Credit: Building and Building Management Magazine. 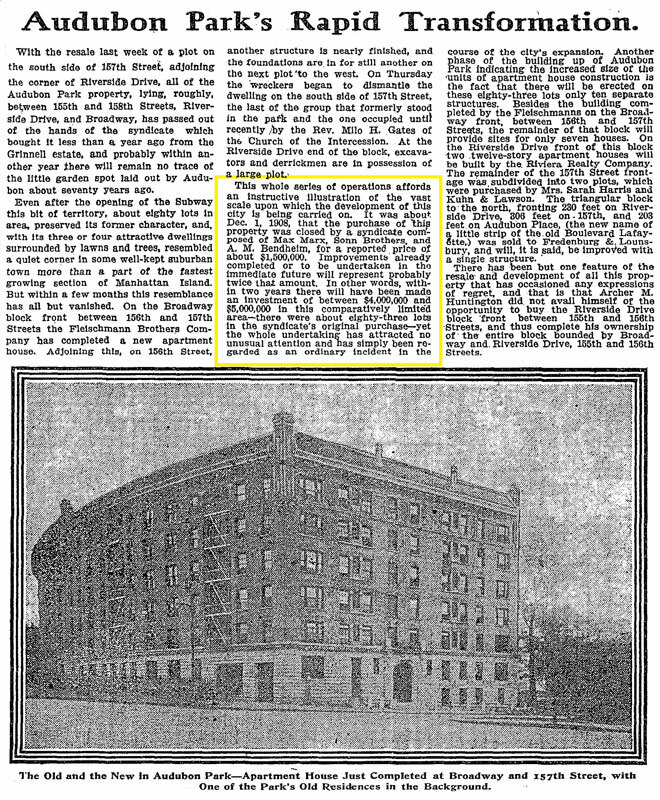 1909 article about the plans for a 12-story building on Riverside Drive, which would be called The Riviera. 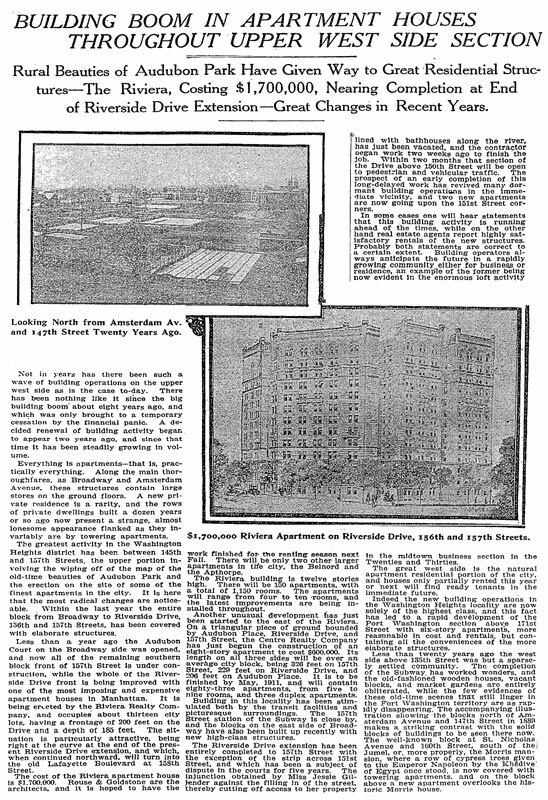 1938 article from the New York Times about the plans to subdivide the larger apartments in the Riviera. Article from 1909 that describes the demolition of the wooden houses on 157th Street to make way for 790 Riverside Drive. Article from 1910 about the transformation of the Audubon Park neighborhood, which included the construction of the Riviera. 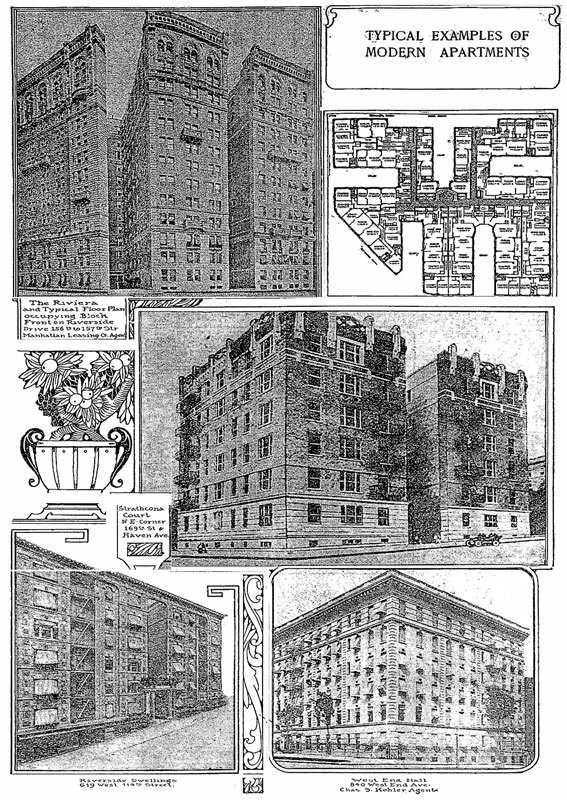 Article from 1913 about “modern” apartment buildings includes a section on the Riviera. Article from 1944 referencing Metropolitan Life Insurance's sale of 790 Riverside Drive. The Riviera, 790 Riverside Drive, New York, NY 10032. Celebrating our centennial at the Audubon Park Historic District in upper Manhattan, Washington Heights!